Falling VIX from last three sessions suggests some bullish price setup but VIX has to go down below 17-16 zones to confirm the short term reversal and a decent bounce back after the sharp cut of last two months, experts said. The market staged stellar performance on last day of the week as the Nifty50 from its opening trade remained strong throughout the session and surpassed 10,600 levels intraday Friday. It formed a bullish candle on daily scale. 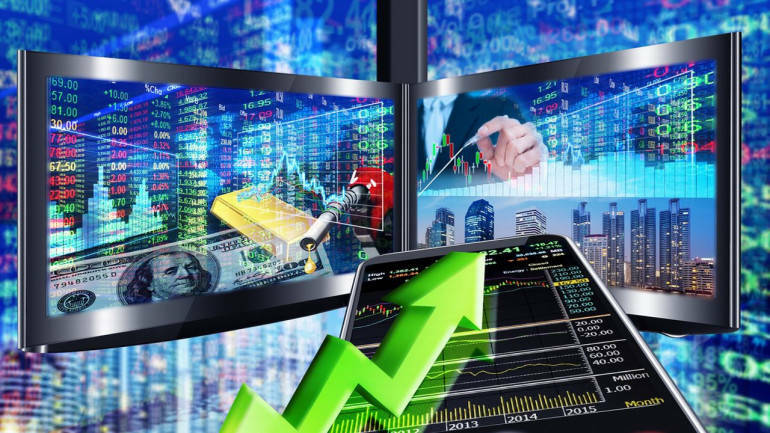 The spectacular rally in auto, banking & financials, FMCG and metals stocks amid hope of trade negotiations between world's largest economies US and China boosted investors sentiment. After decisively surpassing near term hurdle of 10,450 levels, the index may be heading towards next criticial resistance of 10,700 levels, experts said. The Nifty50 after opening strong at 10,462.30 witnessed sustained buying throughout the session to extend its gains above 10,600 levels intraday. The index saw some profit booking at higher levels in last hour of trade, but still closed strong with gains of 172.55 points at 10,553. "Albeit Nifty50 posted a strong show with a gap up opening in Friday’s session, it is approaching its critical resistance zone of 10,700–10,850 levels between which multiple resistance points are placed," Mazhar Mohammad, Chief Strategist – Technical Research & Trading Advisory, Chartviewindia.in told Moneycontrol. Hence, it may not be that easy for bulls to clear this zone as this current leg of upmove is pretty much a part of the counter trend rally which is bound to perish at some point in time, he said. He further said interestingly even 200-Day Moving Average (10,765) is also placed in the said resistance zone which usually becomes the first target for such pull back moves. He advised traders to consider booking profits as the index heads towards 10,700 levels and waits for clearance of the said resistance. "On the downside short term weakness may get confirmed on a close below 10,440 levels." India VIX fell by 5.01 percent to 18.23 levels. On option front, maximum Put OI was at 10,000 followed by 10,200 strikes while maximum Call OI was seen at 10,700 followed by 10,800 strikes. Significant Put writing was seen at 10,500 followed by 10,600 strike while Call unwinding was seen at all immediate strikes which gives room for further upside. Option band signifies a shift in trading band with immediate range of 10,450 to 10,650 zones. "The Nifty50 index finally negated its lower highs – lower lows formation on weekly scale which implies buying interest is visible at lower levels," Chandan Taparia, Associate Vice President | Analyst-Derivatives at Motilal Oswal Financial Services said. Now the index has to continue to hold above 10,450 zones to extend its upmove towards 10,650-10,750 zones while on the downside multiple supports are seen at 10,450 then 10,380 levels, he added. Bank Nifty finally surpassed its crucial hurdle of 25,500-25,650 zones and extended its gains towards 25,850 level. The index formed a big bullish candle on weekly scale which suggests that bulls are holding tight grip in the market. It closed 378 points higher at 25,701.65. Now it has to continue to hold above 25,500 zones to extend its upmove towards 26,000 then 26,250 levels while on the downside major support is seen at 25,400-25,250 zones, Taparia said.